LabLogic’s PET/SPECT Radio-HPLC Detector, the innovative Flow-RAM, is designed to meet the ever increasing demands of the modern laboratory in the Nuclear Medicine industry. 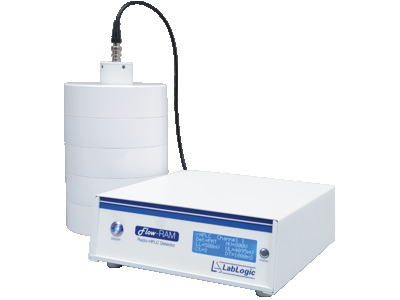 The Flow-RAM is available not only as a single radio-HPLC detector but also as a dual instrument. The dual version allows different parameters to be set for each of the detectors while saving valuable bench space. With a wide range of detectors suitable for both low and high levels of radioactivity, the Flow-RAM is an ideal quality control and research for PET,SPECT and Alpha radionucleides across a range of radioactivity levels.